San Francisco was not ready for the party that occurred on August 12, 2017! Our couple, Kari + Philip took over The Regency Ballroom for a wedding like no other. From a laser show to the groom rocking out on stage, this wedding surprised every guest in attendance. We designed the cocktail area, ceremony and reception with a glam, retro theme in mind. Colors of turquoise, magenta, green and purple were evident in the florals, furniture and more. Our bride even rocked the retro glam look with silver eyeshadow to matcher her silver boots. After the gorgeous ceremony, ladies were encouraged to take off their heels and slip into some flats provided by the couple. The rest of the night was history. The groom, being a heavy metal drummer, rocked out for a couple songs and entertained guests. Guests were then treated to a laser show, confetti bombs, and a balloon drop all in one evening! Multiple entertainment acts and DJs provided sweet tunes that guests danced all night to. Congratulation to our Asscher couple, Kari + Philip! Raquel and her team are the best in every way—highly organized, creative, and fun to work with. Our San Francisco wedding was big (260 guests), and thanks to the ROQUE team, the night was incredible, flawless and went off without a hitch. We can't recommend ROQUE highly enough. If you have the opportunity to work with ROQUE, you should! "I was the wedding officiator at my brother's wedding. I was asked by many people throughout the evening if this was the standard for weddings nowadays and my reaction was "Heck no. There was nothing standard about any of this." What I'm saying is that the level of detail payed attention to at each venue and every turn was mind-bogglingly sharp. As far as my experience goes, this was a once in a lifetime experience. Most everyone I spoke with had something similar to say, that this wasn't "one of the best", but "THE best wedding" they'd ever attended. Well done everyone." On our recent trip to New York, we made sure to stop at some of New York's hottest venues to host your next wedding or event! 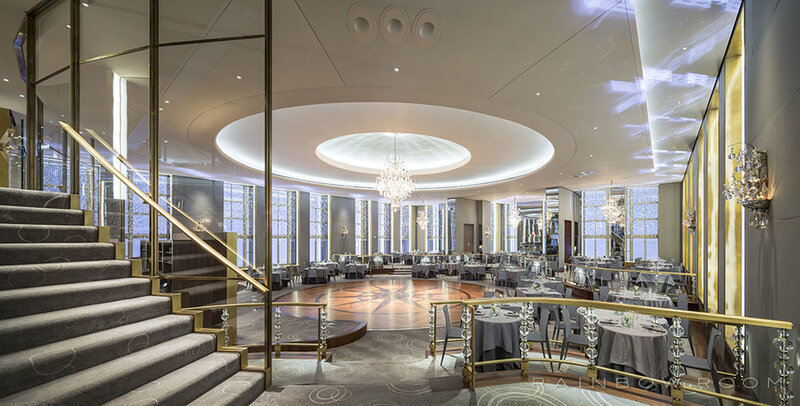 Sitting on the 65th floor of Rockefeller Plaza is the incredible Rainbow Room. Fostering a commitment to quality and style, the landmark venue exceeds expectations on every level: from an incomparable space with striking views to some of the most sought-after chefs and hospitality professionals in the country. Striking decor and views make this dining and entertainment spot iconic. Since its debut in 1934, the Rainbow Room has drawn the world’s elite to its curated, elevated and glamorous luxury. Indulgent and tailored celebrations await where historic prestige meets the current, demanding standards of excellence to create unforgettable social and corporate events, movie premieres, fashion shows, photo shoots, bar- and bat-mitzvahs, birthdays, weddings, anniversaries and much more. Neighboring this space is the gorgeous 620 Loft & Garden. 620 Loft & Garden is a unique venue that features extraordinary views of Fifth Avenue and St. Patrick’s Cathedral from a manicured historic garden, complete with a sparkling reflective pool. A tented area in the garden keeps the party going year round. This extraordinary, classic lofted space is entirely customizable, with one-of-a-kind views throughout the year—from constants such as the Prometheus statue to the iconic Rockefeller Center Christmas Tree. Both of these venues can bring your vision to life in a stunning destination. Click here if you are interested in hosting an event at these venues.